TransTRBO is a small, but fully featured MOTOTRBO™ Dispatch console. It has a realistic dealer price to match its footprint and although its features include, Text messaging, GPS, ARS Server, contact list - a single one off license fee per Base Station is a real selling point. a fully mobile solution with a laptop and portable , which will run in your vehicle without the need of a network or the internet. A list of all detected calls is displayed and logged. The list shows all participants involved in group calls monitored by the base station radio. The list and log shows the source and destination radios for private calls to and from the base station. A floating Mini Radio head display with a PTT button , simulates the radio display. A real time, Unicode compatible display with some radio indicators. Ordinary dispatch operators may monitor a radio - but this option is only available to them if that radio is in "Alarm" mode. 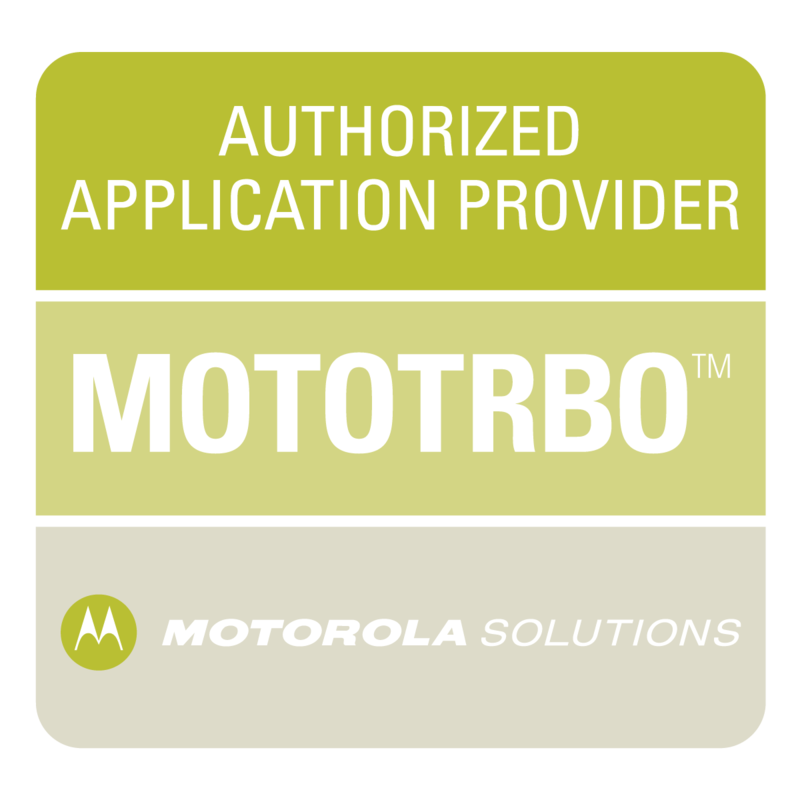 Motorola compliant, full unicode, Text Messaging server for sending and receiving text messages. Send Text messages to individual radios or Radio Groups. Text messages are displayed in the call list and also stored in log files. A 50 slot GPS/LRRP server that allows multiple "request" lists, each radio request can be tailored for that radio with request period, position information and request type. Breadcrumbs plus animated GPS Position history. Up to 2 x Revert channel base station radios may be attached. Integrated with Google Maps™ and can also produce a periodic *.KML output for use with Google Earth. 200 slot fully compliant ARS server for those who want to track radios or using GPS. The ARS server is integrated with the Contact list for visually accenting radios that contact the ARS server. a floating toolbar for quick access to selectable Zone/Channels or for contacting groups of common radio numbers. MOTOROLA and the stylized M Logo are registered in the US Patent and Trademark Office.